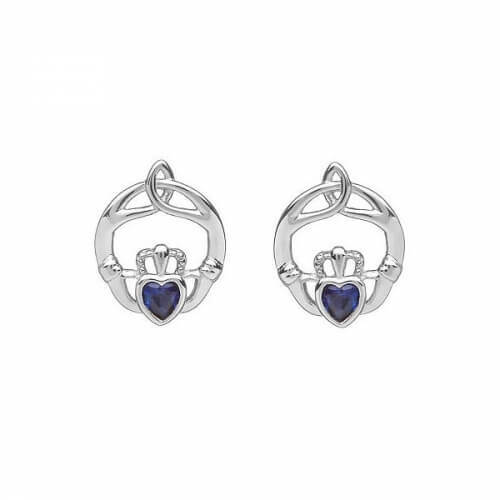 These sterling silver September Claddagh earrings with blue sapphires make an excellent gift for the woman born in September. 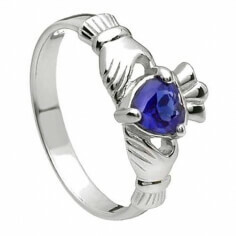 Not only does the Claddagh symbol mean love, friendship, and loyalty, but the sapphire is the symbol of love and devotion. That makes these earrings ideal birthstone jewelry. 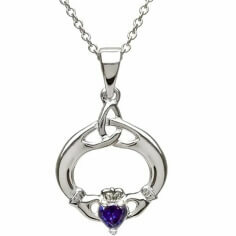 The Claddagh symbol dates back centuries in Irish history. It was a way for two people to show their love and commitment to one another. That combined with the meaning of the blue sapphire will tell the world that this woman is truly loved.